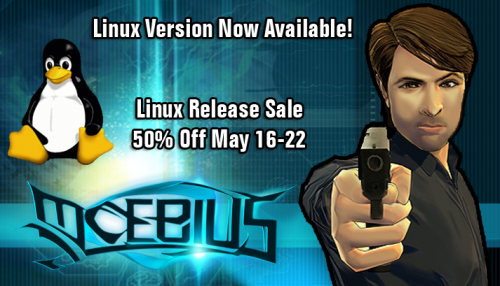 Moebius Linux is Now Available and 50% Off This Week! We are excited today to announce that Moebius Linux is available! And to celebrate the launch of our very first Linux port, Moebius: Empire Rising is on sale this week for 50% off! In addition to the Linux port, we’ve got some major updates for the PC and Mac builds as well, so if you already own the game, it’s a great time to download the updated build and journey with Malachi and David as to try to uncover the pattern and the mystery of the Moebius theory once again!